September 14, 2015 — We did it, guys. Made it through another summer and another spring and another post-Christmas winter. Time to stretch, come out of our coffins, and gorge on pumpkin spice-flavored things. Where I live in New Hampshire, the season came out without hesitation. 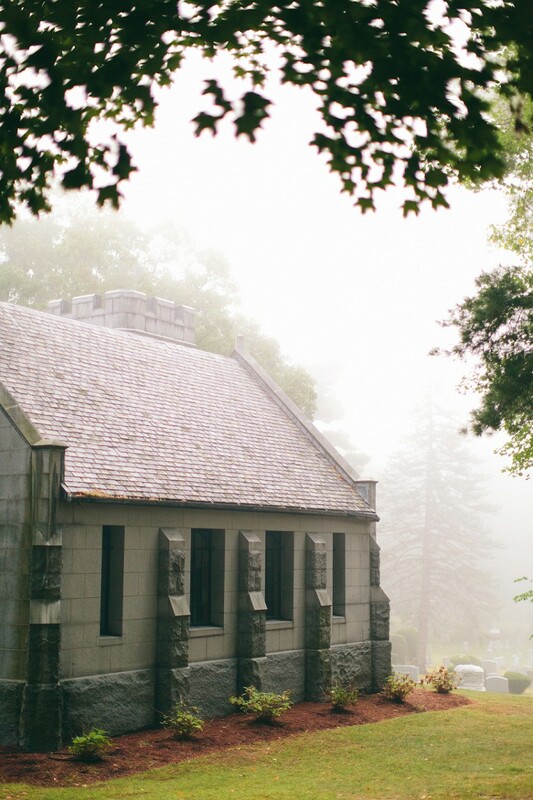 The weekend was absolutely wet with rainstorms, and Saturday morning we awoke to a massive fog bank so thick it pushed us the rest of the way into the season. 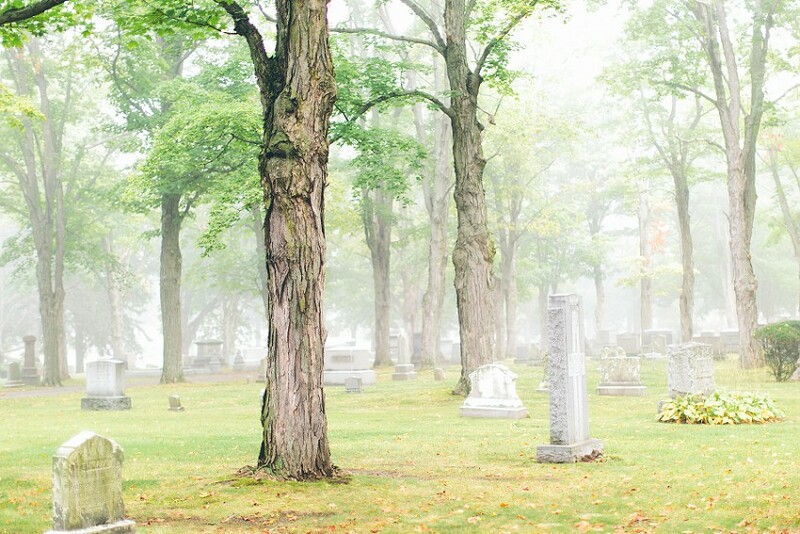 We jumped into the car, grabbed some hot cider from Dunkin' Donuts, and took off into the mist for the nearest graveyard. If I had my way, we wouldn’t return until the weather reports start calling for snow. Today marks the sixth year for the OTIS Halloween Season Blog, where we revel in all things Autumn and spooky for the next month and a half. That means daily posts about my experiences in this newly bloomed orange and black world—travels to creepy oddities, seasonal food and drinks, horror movies, seasonal candy, harvest activities, Halloween events, ephemera past and present, uncategorizable weirdness, and any chance to write the word “monster” 50 times in a post. All the elements of the perfect witch’s brew. And you know what? 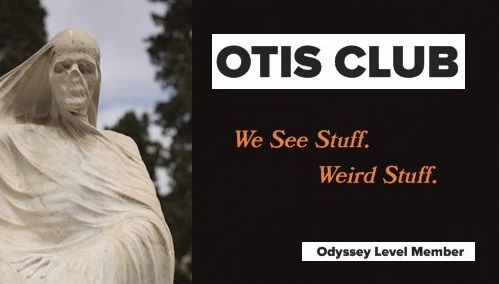 Of all the OTIS Halloween Seasons so far, this one will be, without a doubt, the strangest. At least for me (My personal Halloween Season and the OTIS Halloween Season aren’t always perfect reflections of each other. I’m working on ideas to fix that). But, to know what’s weird—beautifully weird—about the 2015 OTIS Halloween Season, you’ll need to watch the video above. Meanwhile, to make up kicking off the season with just a video of me at midnight in my barn attic talking to an imaginary audience, here’s a great Halloween tip that you should all take advantage of if you’re into this season of dead leaves and grave ghouls. A new edition of Ray Bradbury’s The Halloween Tree recently streeted, illustrated by the macabrely talented Gris Grimly. It’s worth buying for either of those two reasons by themselves. 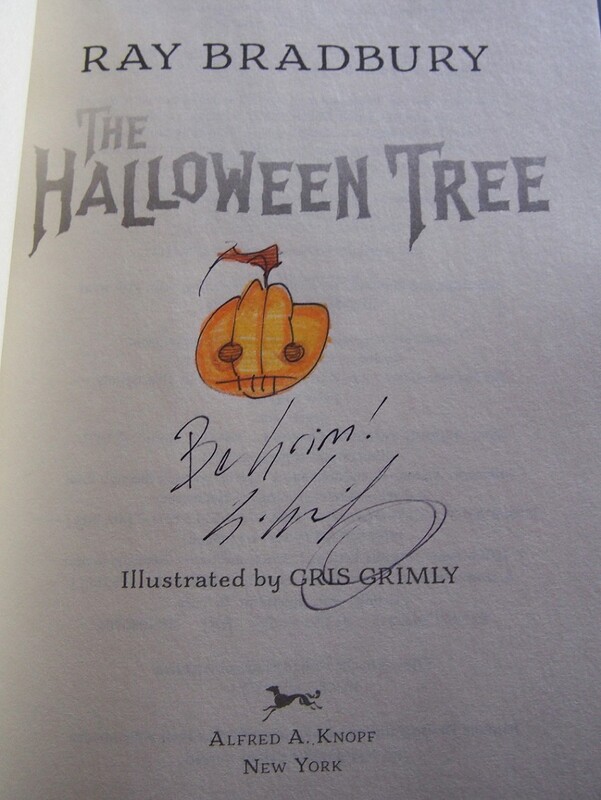 But if you order it directly from Grimly’s own website before October 31, he’ll autograph it and sketch a little personal jack-o-lantern on it for you. And it’s that little personal jack-o-lantern that sold me. 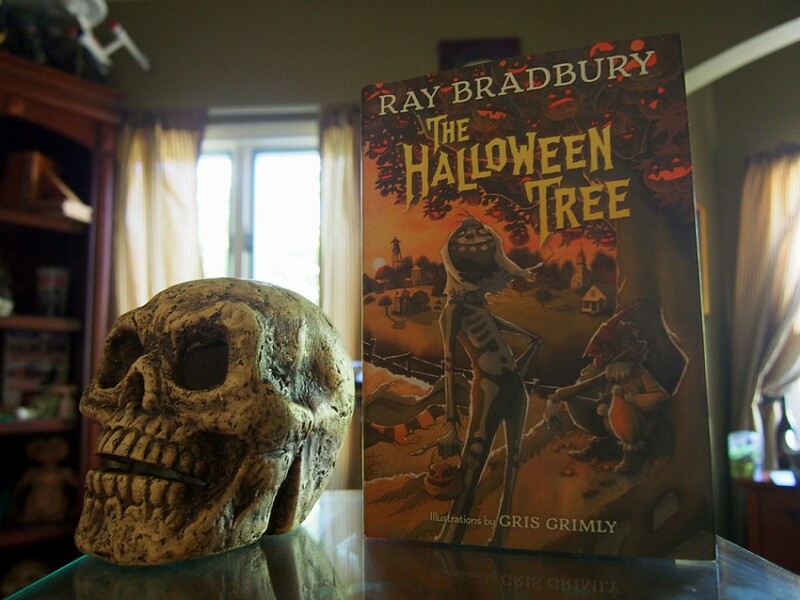 Happy Halloween…Season. See you back here every day for the next 47 days. And on all the socials. Bring some candles, bring some Autumn cocktails, bring a rubber bat or two, bring the soundtrack from The Lost Boys. Let’s Halloween.